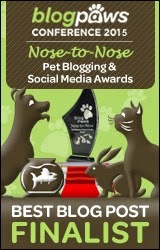 This will be my third year joining the Pet Blogger Gift Exchange. Wow - that's hard to believe! Hosted by Something Wagging This Way Comes, the idea behind the Pet Blogger Gift Exchange is to shower our matched blogging partners with nice compliments, words of encouragement, and maybe even a little bit of exposure to a new audience. Or at least that's what my idea of the PBGE is. This year, I am paired with Peggy Frezon who is a blogger, book author, and dog mom. Peggy's blog is "The Writer's Dog - Tales of Love and Devotion". She's been writing this blog for a very long time - since 2008, which I feel is quite an achievement! Actually, I believe this may have been one of the first blogs I followed when I first started blogging. It was under a different title then - Peggy's Pet Place - and I do admit that somewhere down the line, I must have lost track of things and haven't visited as much as I used to. 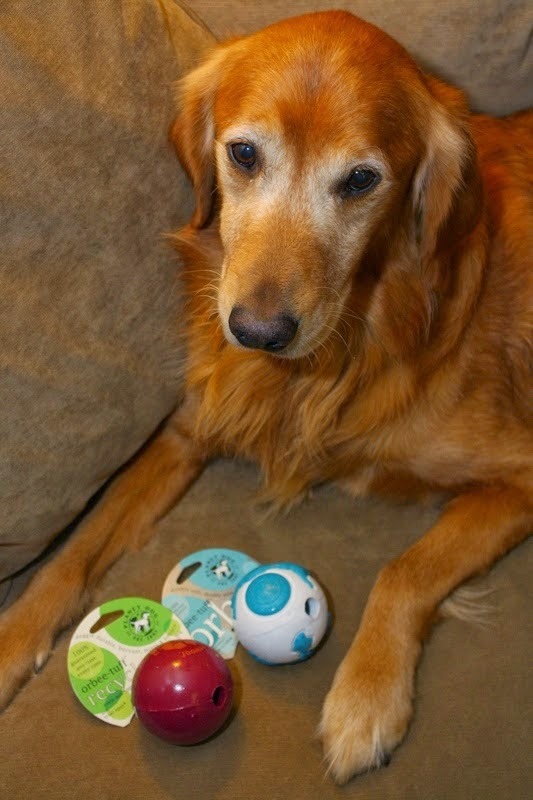 On her blog, Peggy talks about staying fit with your dog and is a host to several dog fitness blog hops. She also shares book and product reviews and giveaways. And what would a dog blog be without dogs? Peggy has two of them. Peggy and her dog, Kelly. Kelly is a 13 year old Spaniel who's going through a rough time right now. She ruptured a disc in her spine and has to be rested so she can heal. Please keep Kelly in your thoughts right now. I hope she's able to heal quickly. Peggy also has a Golden Retriever named Ike. He's 9 years old and he just looks like so much fun! I was actually a little surprised to see his age, he looks much younger. Both of her dogs were rescued. 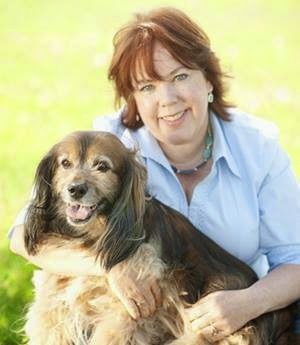 Besides writing at her blog, Peggy is an award-winning author of several books and a regular contributor to "Guideposts" magazine. She's also had many of her stories published in the popular "Chicken Soup for the Soul" books. Mostly, I am just blown away and amazed by the many achievements Peggy has procured. I can only hope that one day I'll be able to have such a long list of accomplishments too. You can keep up with Peggy and her crew on both Facebook and Twitter! Oh dear, I didn't know about Kelly being injured. Peggy is a great inspiration for those that want to get fit and get fit with their dog! Hope Kelly can heal and get back to her regular activity. I actually stumbled across her blog a few weeks ago. I am really enjoying it. 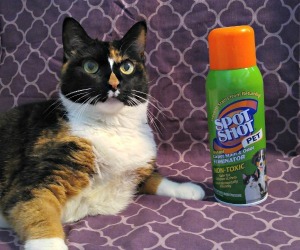 I saw your Pet Blog Gift exchange on her lbog earlier this morning it was a nice one. So is yours. I really like how the pet blogging community works together to showcase each other. I have found many a new blogs from blogs I am currently reading. I am also trying to learn a lot cause I am interested in pet blogging. You guys ROCK. You should definitely start one if you want to Kim! 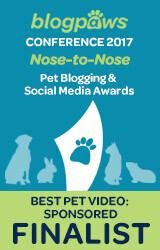 There are really no "rules" to it, but pet bloggers are very friendly and don't mind giving advice if you need it. All you have to do is ask! We've know Peggy for quite a while and she never fails to impress! Purrs to sweet Kelly from all of us too. I've been following Peggy since I started blogging 5 years ago. She's inspirational for both her kind heart and her amazing work ethic. Thanks so much for your kind comments about Peggy and for joining the Pet Blogger's Gift Exchange. shiner...how kewl is this eye dea !!! way awesum...N we send de blessings oh St Francis to kelly, we hope her heals N iz on de road ta ree cover ree in noe time ! ♥ !!! Love this blog, great post!! This is such a great way to meet other bloggers. We're purring that Kelly heals quickly. Thanks Ann, I too used to follow this blog - can't even tell you why I stopped. Nice post, and now I will visit and get caught up on all that I've missed. Happy New Year. 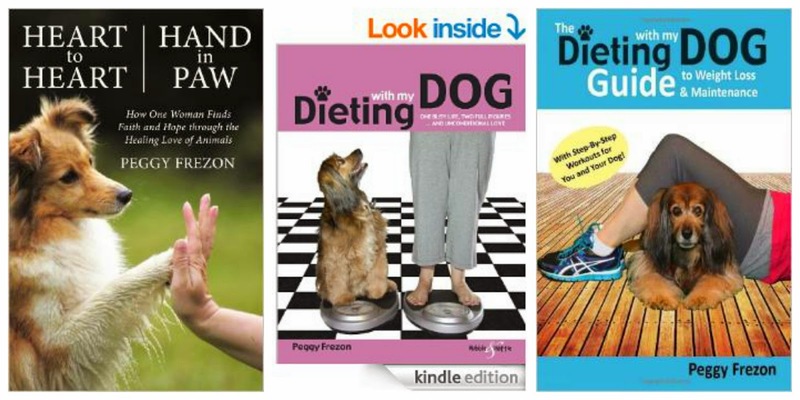 Peggy has been a long time friend of SlimDoggy and we love her blog..and her books! Isn’t she head of Blog the Change; at least she used to be. I'm so sorry about Kelly, sending good thoughts to her and Peggy! Peggy's was one of the first dog blogs I started reading. I'm so impressed with Peggy and all she has accomplished. She's truly an inspiration for all of us. Nice post!